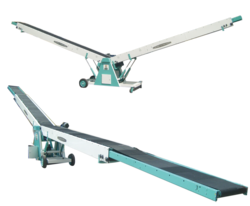 We are leading Manufacturers & Exporters of Flexible Conveyors such as Telescopic Boom Flat Belt Conveyor, Glide Wheel Conveyor, Flexible Conveyors, Flexible Roller Conveyors and many more items from India. Our glidewheel conveyors are low cost flexible conveyors for gravity conveying of items. These conveyors are built tough to help workers load and unload truckloads efficiently. They are easy to install, and require low maintenance. Capacity of 10 ft. sections can be increased by adding center leg supports to equal capacity of two 5 ft. lengths. These conveyors can be easily customized to form any shape and take any number of curves to form a flexible conveying profile. The glidewheels can be selected with different types of MOC such as plastic & carbon steel depending on the load and application. Applications For conveying light & medium weight products into trucks/vans/containers or warehouses. Our Expandable Conveyors are made from high quality materials with precise alignments to ensure long life and reliable operation with greater flexibility. Self tracking flow of material. Excellent for handling boxes, bags & cartons. Completely mobile units, provide portable temporary conveying solution. Side Rails: Optional side rails for fragile products. Connecting Brackets - For connecting multiple conveyors. 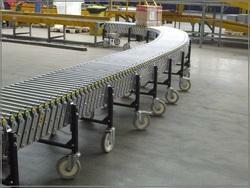 Our Flexible Conveyors provide low cost flexible conveying. 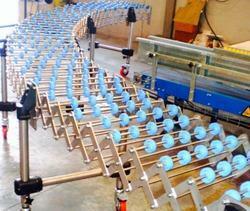 We are involved in offering an extensive range of Flexible Conveyors. Widely used in packing lines and warehouses. Our conveyors provide flexible conveying solutions for creating bend and curved temporary conveying paths. Versatile conveyors that can create a temporary conveying path anywhere inside the factory. Mobile and easy to manoeuvre into position as and when required. Extendable up to thrice of its compacted length. Laterally flexible and can be transformed into any S-shape profile. The option of electric powered or gravity rollers. The option of rollers & skate wheels. 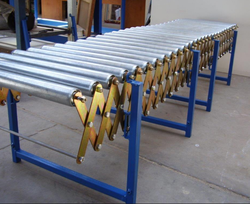 We manufacture a wide range of Telescopic Conveyor. These are ideally used to transfer various loads such as heavy boxes, cartons and like for loading & unloading from containers/trucks and other vehicles. Our design is field proven with many successful installations. 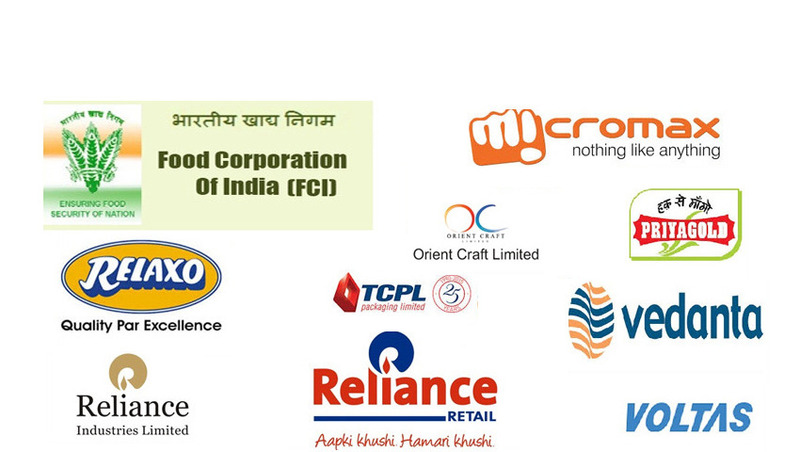 Further, these are tailor made as per the diverse requirements of the application.